All CAMEO PARK homes currently listed for sale in Sandy as of 04/26/2019 are shown below. You can change the search criteria at any time by pressing the 'Change Search' button below. "Sale Failed! Back on the market! Awesome East Sandy 2-Story! Featuring An Open & Functional Floor Plan That Has 4 Large Bedrooms Upstairs, Large Kitchen, Great Room With a Warm Fireplace, Spacious Formal Dining and Living Room. 100% Finished Basement That Has a Large Family/Theater Room, 2 More Bedrooms or Office. 3 Car Garage and Lots Of Storage Space! Bonus - New Carpet. Paint and New Roof! 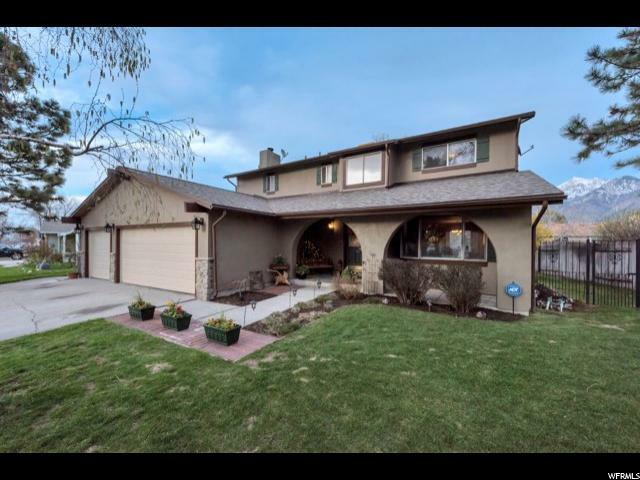 Incredible Neighborhood With Mountain Views, Located Very Close To 2 Incredible Parks, Shopping and More. Inviting Covered Front Porch and a Backyard That Has Shade In The Summer Time That Is Perfect For Entertaining On A Summer Night Surrounded by Mature Trees, While Hanging Out on the Huge Patio/Deck Next to the Koi Pond, as You Bar-B-Que, Then Relax in the Hot Tub Under the Stars. Must See!"